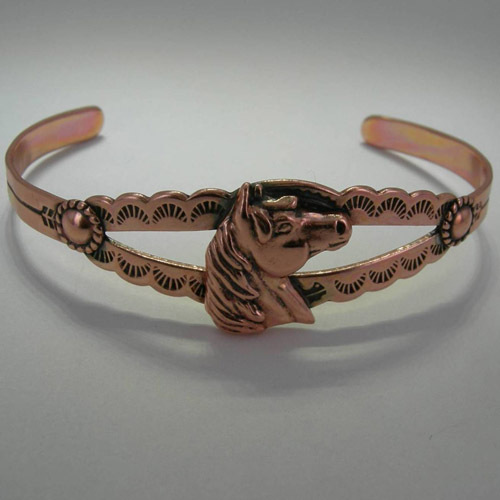 Desc: Copper horse head cuff bracelet. The horse head is mounted at the apex of the bracelet. The bracelet splits behind the horse head. The length of the bracelet has American Indian style engraving along the entire bracelet. The bracelet has a bright polish finish. Made in the United States of America.